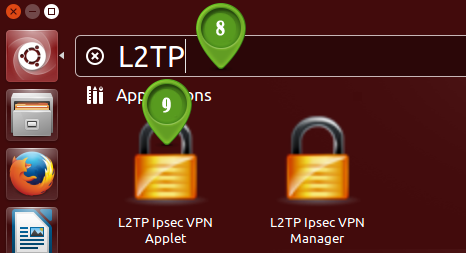 Then add the L2TP/IPSec application repository. Choose yes if the confirmation prompt. 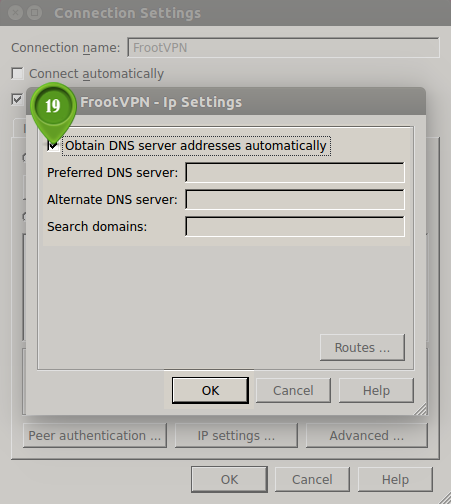 8 : The "VPN Connections" window will appear. 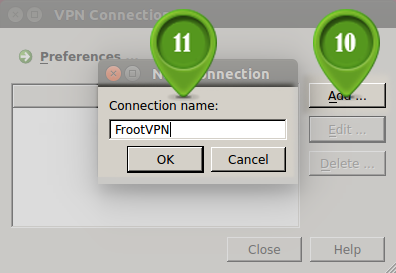 Enter the desired "Connection name" (like FrootVPN) and click "OK". 9 : The connection is now created. Select it and click "Edit...". 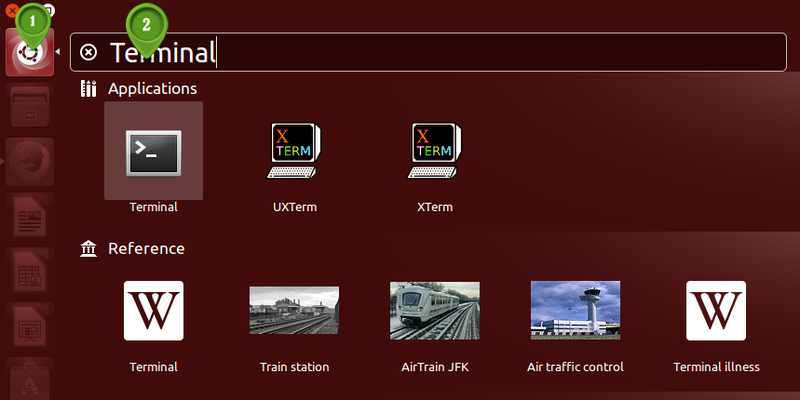 Now choose the "PPP" tab. 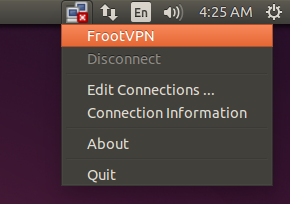 Enter "User name" and "Password". 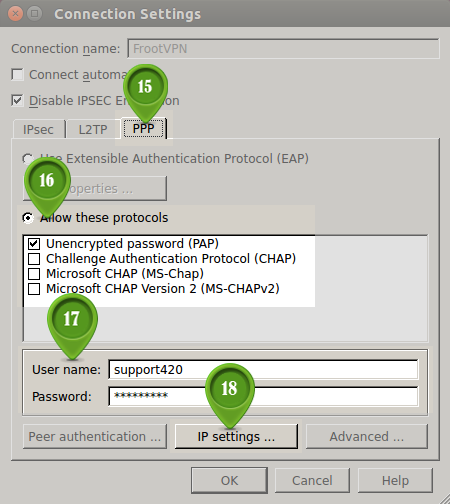 The username and password was sent to you in your VPN service activation email. 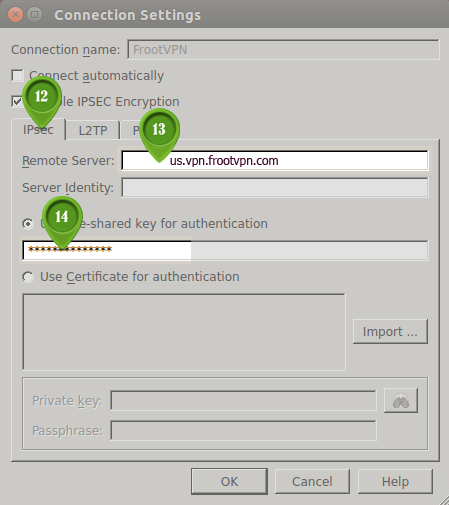 Click the "disable IPSEC Encryption" box. Wait for the confirmation if the connection is success.